Young skiers hit the slopes on a beautiful day at Big Squaw Mountain in Greenville. Currently operated by the Friends of Squaw Mountain non-profit, one chair lift services 28 trails on the lower mountain. Adams doesn’t listen to music, unlike the guys who work at the bottom of the lift. He enjoys the silence and just hearing the clicking of the bullwheel as the chairs go by. 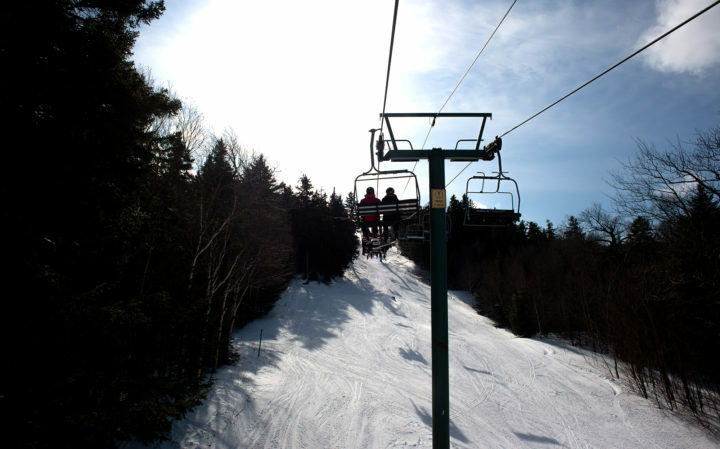 Skiers ride the chairlift at Big Squaw Mountain in Greenville. Currently operated by the Friends of Squaw Mountain nonprofit, one chair lift services 28 trails on the lower mountain Fridays, Saturdays, and Sundays from 9 a.m. to 4 p.m.
Squaw Mountain originally opened for skiing in December 1963 with just a T-bar to access four trails, according to the Ski Big Squaw website, but it closed in 2010 after years of falling into disrepair. Since 2013, the nonprofit Friends of Squaw Mountain has leased part of the mountain from owner James Confalone and operated the lower portion of the mountain as a ski area with one chairlift. The state is suing Confalone, claiming that he used the property to secure more than $4 million in loans but failed to use that money to reopen the ski lift, trails and lodge. 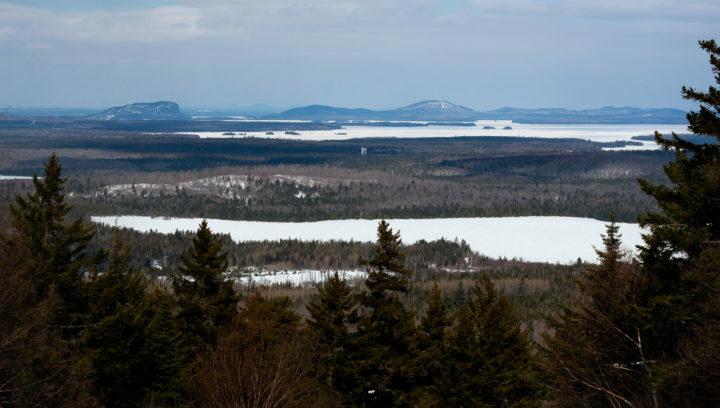 Stunning views of Mountain View Pond and Moosehead Lake from the ski trials of Big Squaw Mountain in Greenville. 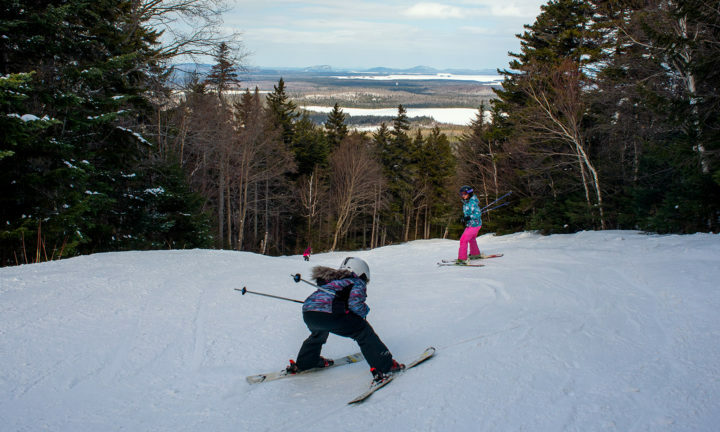 The chairlift serves 28 trails from 9 a.m. to 4 p.m. Fridays, Saturdays and Sundays.